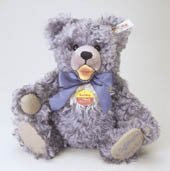 This Steiff Summer bear is made in Germany in 2013. 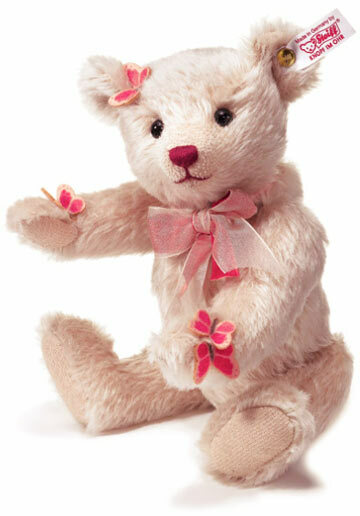 Made out of pale pink mohair. With felt butterflies on her body. 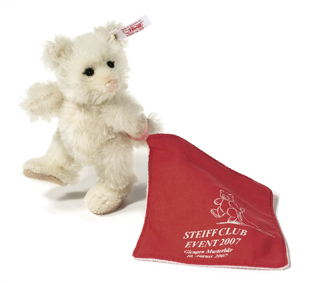 Limited to 2000 pieces and made for the Steiff Summer only. 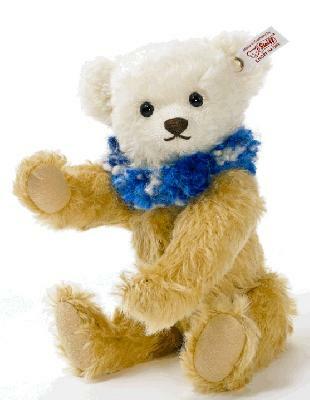 This bear is 26 cm. / 10,4" tall. She is a Dolly Style Teddy Bear. She is made out of honey yellow and cream tipped mohair and a white head. She wears a blue and white ruff around her neck. 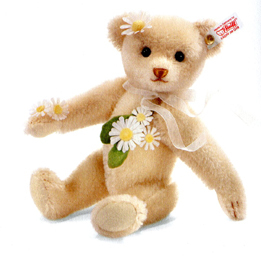 She is limited to 2,012 pieces for the Steiff Summer festival only. She is 26 cm. / 10.4" tall and limited to 2.010 pieces. Her flowers are made of felt. 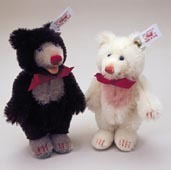 This is the children set of Blackey and Whitey made for the 4th Steiff festival in Giengen. They are 16/ 6"" and 14 cm. /5.5" tall. It is a limited edition of 3.000 pieces. They were only available at the festival when you could show them the certificates of Blackey, Whity and Rosey. The little ones come with a book with pictures of the festival. 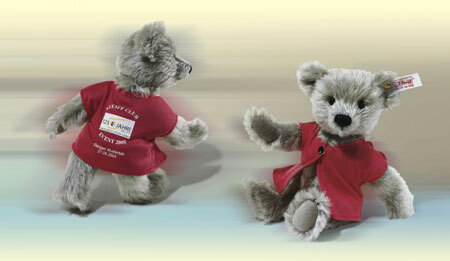 Daddey is the 7th bear made for the Steiff festival in Giengen. He is 35 cm. / 14" tall and limited to 3.000 pieces. 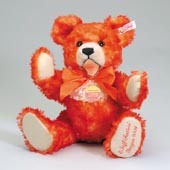 Mommey is the 8th bear made for the Steiff festival in Giengen. She is 32 cm. / 13" tall and limited to 3.000 pieces. This set is only available with the 4 of them; so as a complete set. 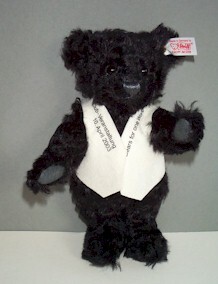 This wonderful bear is made for club events in Europe in 2007. He is 12 cm. / 4.8" tall. On his blanky there is written Steiff Club Event 2007 Spelenderwijs Dordrecht, Netherlands. 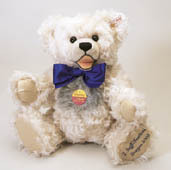 This bear is made for our event held in 2003. He is 21 cm. / 8" tall and there are only 30 bears with Berelijn Dordrecht on the waste coat.